Fatwood, Firestarters, Holders and Matches can all make starting the fire easier and also come in decorative styles to add interest to the hearth area. Fatwood comes in different size amounts and holders come in serveral different styles. Firebacks come in many decorative styles and add warmth to the room by reflecting heat out of the fireplace. 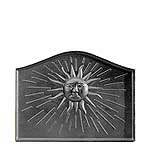 We carry both the decorative cast iron and style and the modern lighter weight stainless steel firebacks. 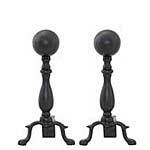 Fireplace Andirons are another fireplace accessory that can add both function and interest to the hearth. We carry many different styles to accomodate different needs. They come in black, bronze, brass and vintage iron finishes. Fireplace-Ash-Containers-and-Vacuums are another fireplace accessory that can make the hearth area cleaner and more organized. 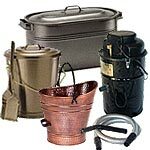 We carry ash containers in black, bronze, copper and vintage iron finishes. The hearth country ash vac is the best value ash vacuum on the market and we guarantee our price. 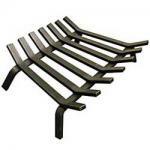 Fireplace Bellows are another fireplace accessory that can make starting the fire easier. They pump air into the fire with an easy pumping action. 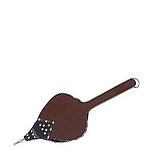 We carry fireplace bellows in many different styles and sizes. Fireplace Candelabra are a unique fireplace accessory that are placed in the fireplace and hold candles adding visual appeal to the hearth when the fireplace is not being used. 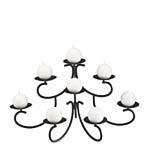 We carry fireplace candelabra in many different styles and sizes. Fireplace Grates come in simple cast iron, welded bar, hex shaped, stainless steel, Pilgrim and lifetime fireplace grates. These fireplace grates all have a satisfaction guarantee and are a must fireplace accessory Hearth Rugs will protect your floor and add beauty to the hearth area. They come 3,4,5 and 6 foot lengths. 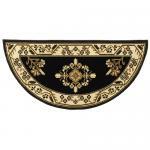 We carry both half round and rectangle hearth rugs in solid and mixed colors, oriental and pattern designs. Fireplace Screens not only protect sparks from leaving the hearth area, they add beauty to the fireplace. They come in many different widths and heights. 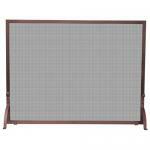 We carry fireplace screens in a multitude of colors and designs. Fireplace Tools are another fireplace accessory that can make the hearth area cleaner and easier to use. 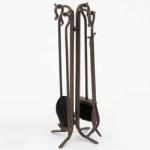 We carry fireplace tools in antique colors, black, bronze, copper and vintage iron finishes. Customer Satisfaction Guaranteed Any fireplace accessory purchased from ChimneyDirect.com will withstand many years of use and will have high quality construction. ChimneyDirect customers always enjoy the added confidence of knowing that our 30-day money back guarantee demonstrates our commitment to complete customer satisfaction. Another advantage of ordering from us is our prompt delivery policy. 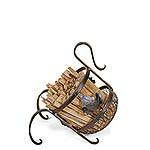 Most fireplace accessories are shipped the same day they're ordered and for free if the order is over $ 100.